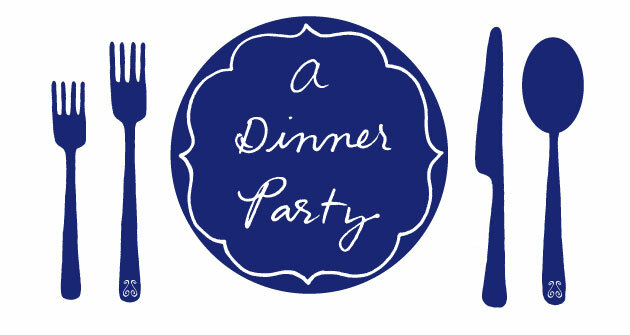 dinner party: what's for dinner, nick fauchald? 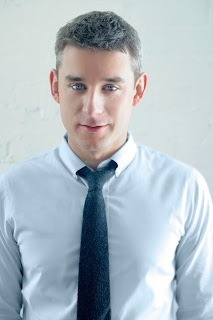 Formerly an editor at Wine Spectator, Every Day With Rachael Ray, and Food & Wine, Nick Fauchald now heads up Tasting Table, a free daily email about recipes, chefs, restaurants, dining trends, cool websites, and other essential tidbits about the culinary world. Tasting Table's latest venture is the Chef's Recipe Edition, a biweekly email containing a recipe from a notable chef, cookbook author, or mixologist. Read on to find out about Nick's love of whole-animal cooking and large-batch cocktails and his favorite new source for unusual dinner party soundtracks. Thanks, Nick! Last weekend. They’re usually impromptu affairs; I’m not one for planning ahead and sending out invites and drawing up seating charts. If I find myself with a free Saturday or Sunday evening, I call a bunch of friends and whoever’s free shows up a couple of hours later. I wish I kept better track of what I cook, but I don’t. I like the spontaneity of dinner--starting with a pile of ingredients and ending up with something that is more or less tasty. The next day I can’t remember what I’ve served (see next question). But anytime I cook a whole animal--a pig or lamb or goat--the affair becomes more memorable (maybe because it feels somewhat sacrificial?). Yes, please. I almost always make some large-batch cocktail (a pitcher of negronis, say) before guests arrive, so they have something to drink right away. Then I put out a few options for beer and wine with food. Then after dinner I have more time to screw around behind the bar. Recently a friend turned me onto Mississippi Records, a Portland, Oregon label that specializes in lost and obscure recordings--everything from old Delta blues to Dutch punk and Thai country. The music’s a good conversation starter and way more interesting than the latest Spoon album or whatever. By nature most of my dinners are last minute, but if it’s truly spontaneous and I don’t have time to shop beforehand, I’ll make a pasta or risotto using whatever fresh produce I have leftover from the previous weekend. I’m what some have dubbed an “alpha cook,” so I usually fly solo at the stove. Not that I don’t love company in the kitchen--especially when there are dishes to be washed. I’ll buy bread and dessert. Though lately I’ve been trying to bake more bread--the extra effort always pays off. See above. If I’m feeling unusually ambitious, I’ll make pavlovas or something that involves whipping lots of egg whites. I love meringue. My mom and dad (both living)--I still have a huge food debt to repay, and my mom taught me how to be a gracious host. I happened to find the latest Spoon album interesting enough, but I see Mr. Fauchald's point. Maybe Mississippi Records should have its own cooking series: Cook's Thai Country, maybe? Or Dutch Punk Oven Cooking? I like the Spoon album too! I mean, it's no Dutch Punk Oven Cooking, but it's pretty good.